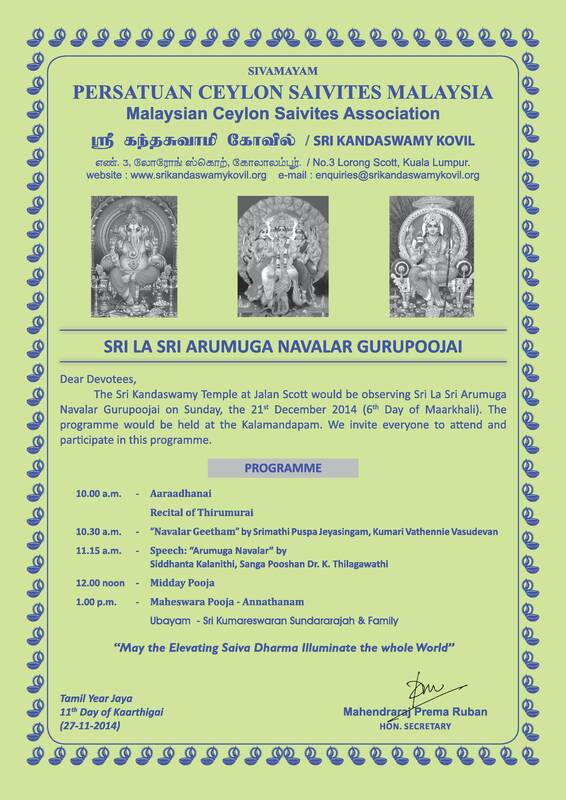 The Sri Kandaswamy Temple at Jalan Scott would be observing Sri La Sri Arumuga Navalar Gurupoojai on Sunday, the 21st December 2014 (6th Day of Maarkhali). The programme would be held at Kalamandapam. 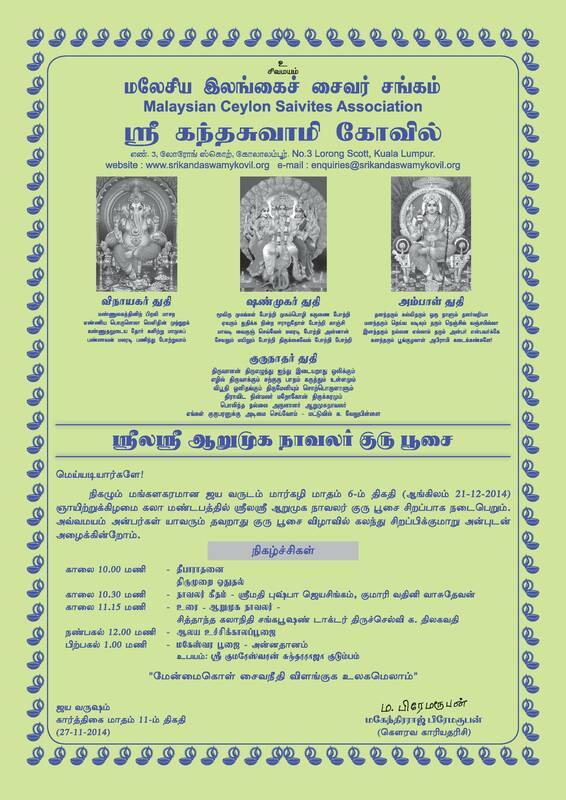 We invite all devotees to attend and participate in this programme.